Anger or more precisely wrath or rage is perhaps one of the more complexes of the cardinal sins because its field of identification and expression is so wide, it moves beyond the sphere of self and aim towards usurping parts of the world not naturally pertaining to the one suffering from rage. It can stretch out in the world and then collapse upon the wrathful leading to suicide. 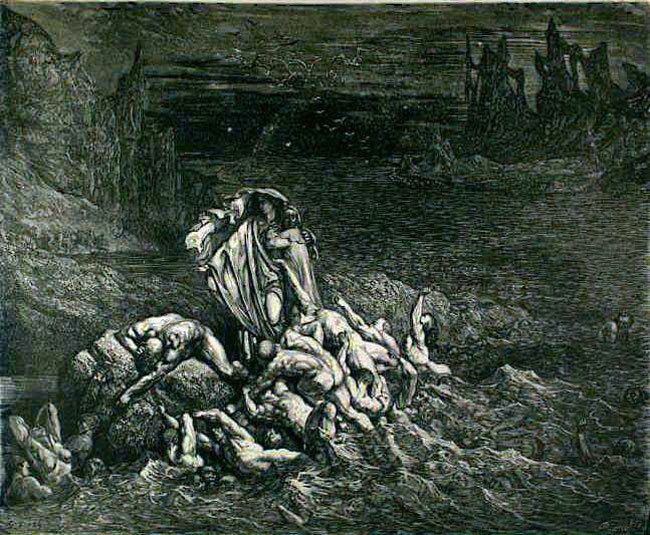 In the 7th canto Dante describes in Inferno that here in the fifth circle where the wrathful ones were found he saw more people than anywhere else, they were clashing against each other in a never ending clash and turmoil, like hungry wolfs taking bites of each other just to be hurled apart and clashed against each other yet again, like a tormented wave of angry flesh. Wrath can range from destructiveness and hurtfulness of any kind to violence, vengeance and war. 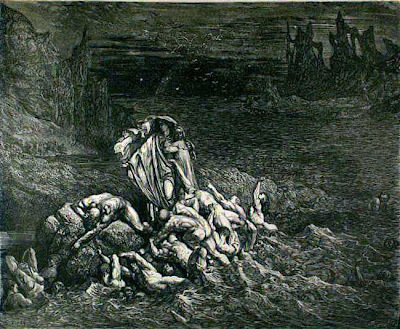 In the 7th Canto Dante do speak of the battle between Michael and Satan, but this should not be interpreted as some forms of wrath are good – on the contrary, in this imagery, the Satanic impulse is the wrath of the worlds which the mindful Michael subdue and thus dominate the darker passions with a clear mind. Dante further see wrath as a love for justice that is perverted into spite and vengeance and he have here in mind how history at all times have demonstrated how a desire for justice can lead to violence and feuds that is passed down in families, like ancestral curses. Shakespeare’s ‘Romeo and Juliet’ being one tale of the misfortunes of Wrath. There are some tendencies in modern psychology of a humanist bent to see anger and consequently rage as passions that hold a potential useful and good, that it is simply viewed as energy. But this is not so, anger is a passion that has been given a direction and its quality is violence and destruction. Wrath is Lord Mars falling into the clutches of Moon and Saturn that pervert his energy into something foul (Saturn) or into energy misdirected and misplaced (Moon). Here vengeance and violence upon the world as dictated by mars or the final implosion and self destruction as generated by Moon gives the spectre of wrath.